Watermelon 3-In-1 Cutter Just $5.49! Down From $16! PLUS FREE Shipping! You are here: Home / Instagram / Watermelon 3-In-1 Cutter Just $5.49! Down From $16! PLUS FREE Shipping! In the summertime, there is nothing better than biting into some sweet, juicy fruit! The watermelon is the king of summer picnics, dinners, BBQs, and other soirees! But don’t you wish carving and slicing it up was easier? 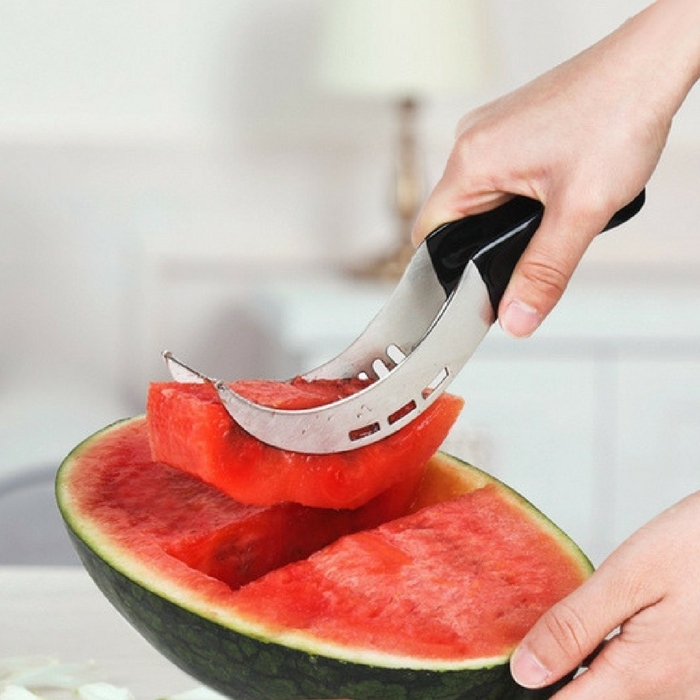 Well, this watermelon cutter might be the answer! Right now at Tanga, Watermelon 3-in-1 Cutter is currently on sale for just $5.49 down from $15.99 PLUS FREE shipping! It’s selling really fast so hurry now!